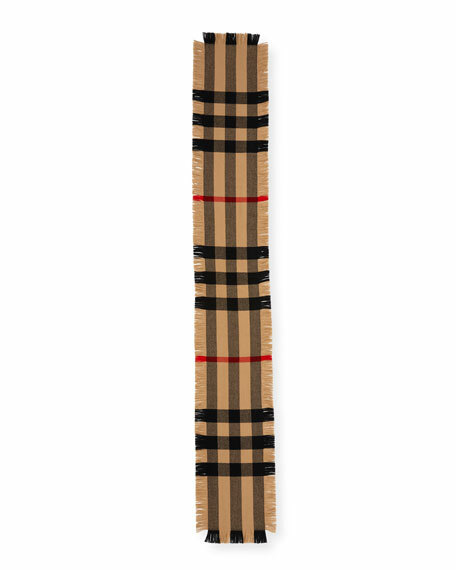 Half mega check scarf in wool by Burberry. Approx. 90"L x 9.8"W (230 x 25cm). Long fringe trim borders edges. 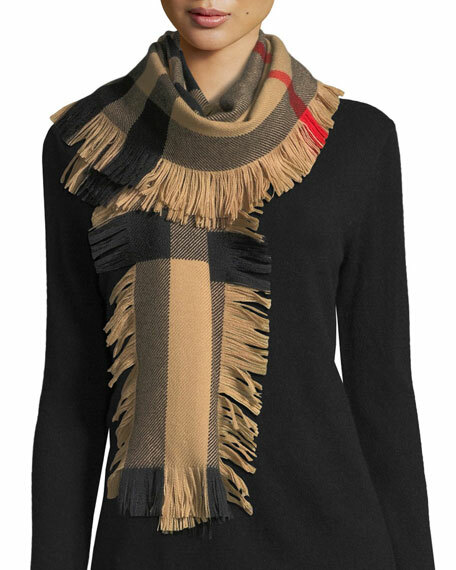 For in-store inquiries, use sku #2368317.